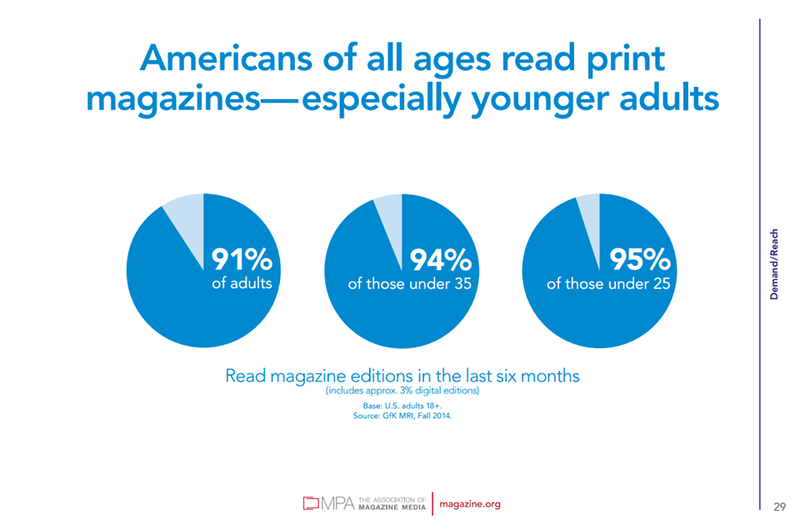 Maybe print took a back seat to social media and the internet for awhile, but it’s totally possible that adults of all ages are turning back to print according to statistics presented by MPA Association of Magazine Media. Survey states 91% of adults read magazines in the last 6 months. 94% of those adults were under age 35 and 95% of those were under 25. That means the demographics that the wedding industry is looking for is reading magazines and we know that includes the niche magzines and regional magazines of the wedding industry. So when you start working on your marketing budget to reach more brides, a well rounded campaign will include print, web and bridal shows. 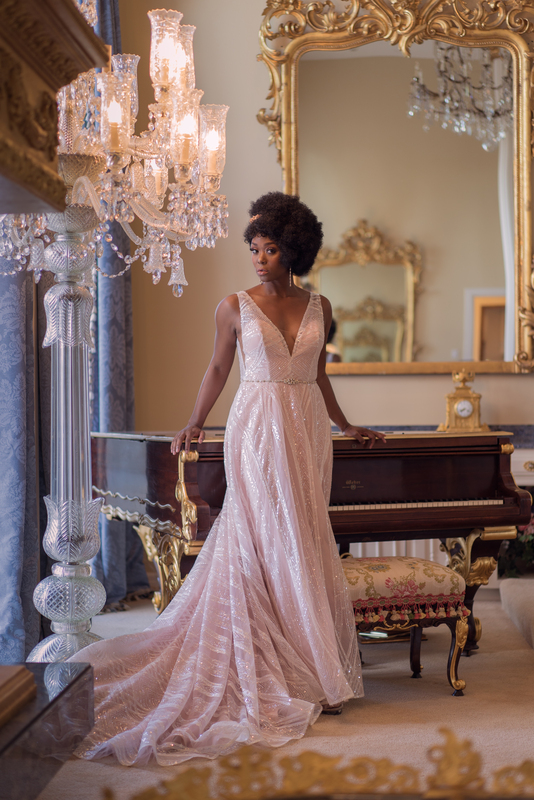 Bridal Spectacular and Spectacular Bride Magazine can help you reach the brides planning a Las Vegas wedding. No one does it better! We reach approximately 2300 brides each year at our shows, 90,000 on our website, 40,000 through our print magazines, and another 60,000 on our Bridal Spectacular Blog. Call us today for more information or visit our website BridalSpectacular.com. As a wedding vendor for more than two decades, I ALWAYS exhibited in bridal shows… ALWAYS… in good years, bad years, and everything in-between. A consistent presence with peers, and ongoing visibility to prospects, was a steady, solid approach to bookings. When wedding businesses voice reasons for choosing not to exhibit, it usually triggers a head-shake from me. Not doing the show because I’m getting so much business as a preferred vendor. Not doing the show because my (business) friends don’t. No doing the show because I have plenty of business. Preferred Vendor Status: When things are going well, being a preferred vendor is a great thing. Unfortunately, one can never predict when that relationship may change. A new Director of Catering is hired, and suddenly the calls dry up. One of your employees makes one critical mistake, at one wedding, and your company gets dropped like hot rock. Meeting brides, in-person, at wedding shows, and following up on leads, throughout the year, mitigates ongoing risks. 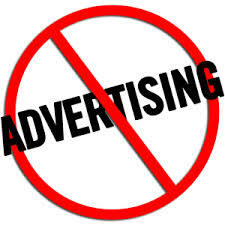 Should something go awry, you are still well positioned to book wedding business, directly. I’ve got plenty of business: It’s important to really consider that thought. How many open Saturdays have you had during the last year or two? How many weddings are you servicing, Sunday through Friday? Are you getting the best bookings, available? – And by best, I mean: price, convenience, geography… however you may measure it. 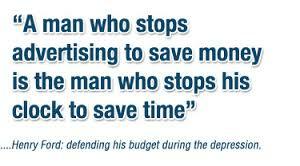 The stronger your marketing, the greater the opportunity to do more business, and strengthen the quality of clients. I don’t get enough business from bridal shows: Bridal show producers are reluctant to criticize their exhibitors. Even when they see ways for a business to improve results, they don’t want to risk insulting anyone. Entrepreneurs can be a touchy bunch. But when show producers look at booth attraction, vendor disposition, and the like, they can tell, almost without exception, who will have a good show. If you want solid feedback, and can handle constructive criticism, your show producer has seen it all, and is happy to offer help. 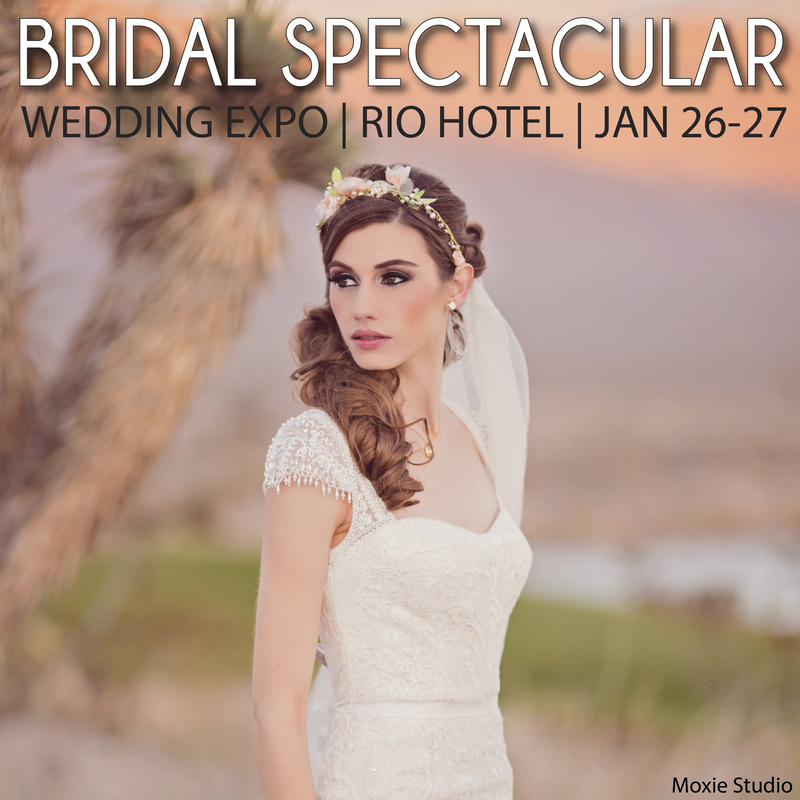 In upcoming posts, we’ll discuss some of the signs of excellence and weaknesses of bridal show presentation. Don’t kid yourself! Have solid reasons for what you do… not justifications. Get on board… All in! Want some great reasons to exhibit, try these.